Retainers are the most important part of preserving your new smile after braces. Teeth tend to shift as you age and without the use of an orthodontic retainer your beautiful new smile may change. What many people don’t realize is that your teeth will shift regardless of whether or not you had braces. Just like you get wrinkles in your eyes, you get wrinkles in your teeth. 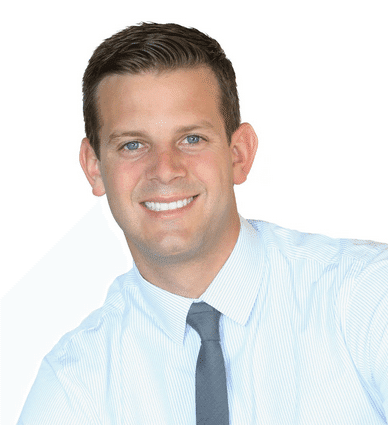 Dr. Jonathan Rucker, orthodontist in Temecula, wants your new smile to last a lifetime and will help you select the best type of retainers in Temecula , and will provide instructions on how to properly wear them. When worn properly and regularly maintained, your retainers will last many years. Replacing retainers is an avoidable cost as long as you care for them properly. Brush your retainers at least once a day with a toothbrush and warm water to prevent the growth of bacteria. NEVER use hot water as this will distort your retainers and will permanently damage them. To prevent your retainers from accidentally getting thrown away, always keep them in their case when they aren’t in your mouth. If you notice that your retainers aren’t fitting properly, never try to adjust them yourself because this could result in permanent damage. For our retainer care checklist, click here. If you lose or break your retainers call our Orthodontic Office in Temecula right away at 951-302-0685. 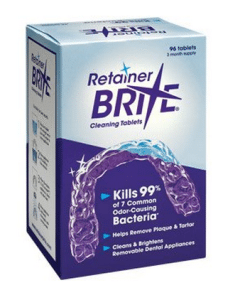 In addition to brushing your retainers each morning and night we recommend using retainer cleaner, such as Retainer Brite. This product kills 99% of the 7 common odor causing bacteria. It also helps remove plaque and tartar so your retainers will stay clean and odor free. As less expensive and effective alternative is a 50:50 mixture of distilled vinegar and warm water, just enough to completely cover your retainers. Whichever solution you decide to use, just soak for 10 minutes at least weekly to keep your retainers clean and odor free. Your Orthodontic treatment in Temecula is an investment, so be sure to take the use of your retainers seriously. Always bring them with you to your appointments with Dr. Rucker so he can check to make sure they are fitting properly. Wearing your retainers as instructed and caring for them properly will ensure your smile lasts a lifetime. Contact our orthodontics office today at 951-302-0685! We look forward to seeing you!